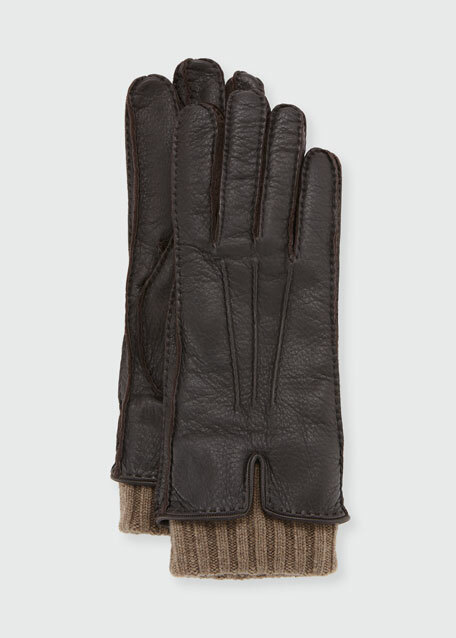 Loro Piana gloves in grained deerskin leather. Three-point stitching on back of hand. Ribbed cashmere cuffs and lining. For in-store inquiries, use sku #2315331. 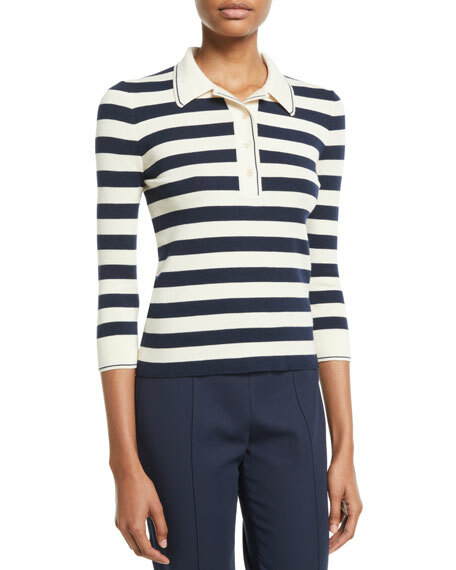 Loro Piana striped polo in cashmere-silk. Spread collar; 3-button placket. 3/4 sleeves. Slim fit. Pullover style. Made in Italy. Model's measurements: Height 5'10"/177cm, bust 32"/81cm, waist 24"/61cm, hips 35"88cm, dress size US 2/4. 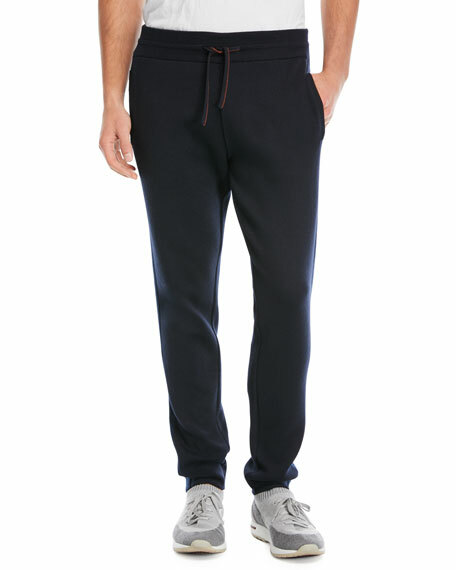 Loro Piana jogging pants in solid knit. Wide, drawstring waistband. Relaxed, tapered legs. Pull-on style. Wool; cashmere details. Made in Italy. Model's measurements: Height, 6'1"/185cm, Suit 40L, Shirt 14.5 x 34.5, Waist 32"/81cm, Inseam 32"/81cm.